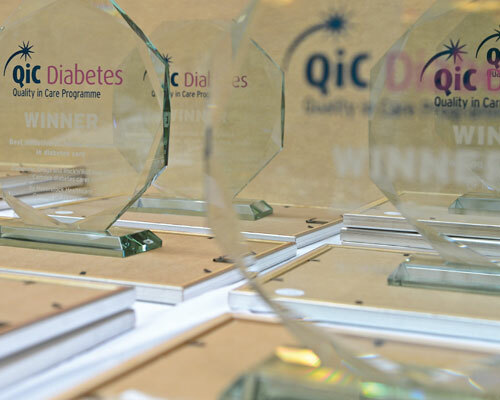 NHS teams from Liverpool, County Durham and Southampton were among those recognised at the seventh annual Quality in Care (QiC) Diabetes Awards. The 2017 QiC Diabetes Awards also saw Birmingham consultant Dr Sandip Ghosh named Diabetes Healthcare Professional of the Year and the North West London Collaboration of CCGs pick up the Diabetes Team Initiative of the Year. This year QiC Diabetes was proud to work with NHS England, who gave their support to a brand new prize, the NHS England Outstanding Contribution Award for Services in Diabetes, which went to NHS Diabetes’ former Communications Manager Oliver Jelley. Held at Sanofi’s UK headquarters in Guildford Surrey on Thursday 12 October, QiC Diabetes recognises initiatives that improve the quality of life for people living with diabetes, as judged by the NHS, patients and industry. Dr Hubert Bland, country medical chair and medical head diabetes and cardiovascular, Sanofi UK, said: "Sanofi Diabetes are pleased to support the QiC Programme again in 2017 and to be part of recognising and valuing those individuals, teams, Trusts and partnerships who demonstrate quality in care for their patients with diabetes. “We are especially keen to see evidence of quality improvement in the 6 dimensions of quality - safety, effectiveness, efficiency, patient centred, equitable and timely."